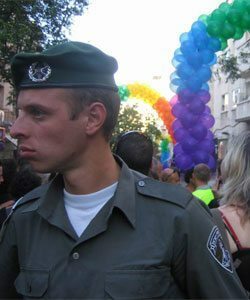 Teenage conscripts in Israel will now have the option to volunteer for a gay national service scheme instead of military service. The initiative will be available to anyone granted exemption from the Israeli Defense Forces. They will be able to complete their service through the Association of Gay, Lesbian, Bisexuals and Transgenders in Israel (Aguda). This scheme was made possible through an agreement signed between Aguda representatives and the Shlomit Association, which helps girls that were discharged from the army but want to volunteer for national service. Teenagers who sign up to the group will spend their national service assisting the gay and lesbian community to enjoy the same benefits enjoyed by volunteers in other communities.